At Tri County Roof Cleaners, we offer a FREE ESTIMATE Service. Answer a few questions about your home and we will come out, take a look at the house, and leave a FREE written estimate and brochure hanging on your door. You do not need to be present for the estimate, but if you’d like to meet us, indicate a good date and time in the Comments box. *Sides refer to directions, north, south, west, and east. Include a side if you see stains and feel that it needs to be cleaned. Realize that in northeast Ohio, generally only the north side of the house is stained or streaked. At Tri County Roof Cleaners, we estimate every house individually and not using satellites. While other companies find it easier to use satellites, every homeowner has issues specific to their own home that can’t be picked up on a satellite. We want to make sure everything we do and quote is specific to you and if there are any potential issues, we catch them ahead of time. After you request an estimate either by calling us or filling out a request form, we will come out, take a look at the house and leave a free written estimate and brochure hanging on your door. 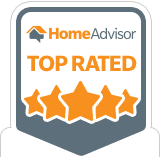 We will call you as soon as we’re done with the estimate to discuss what we found and how much it will cost to do your home. As the owner, I personally do all of the estimates and any time there is an issue or a problem, my customers deal directly with me, not a sales desk, call center, technical support rep, or anyone else.